You and your family are invited to participate in a celebration of citizenship: the National Day of Reciprocity on October 23rd at Artful Gourmet Bistro, 9433 Common Brook Road, Owings Mills, Maryland 21117 ((410) 356-2606). This free, fun, family-friendly event starts at 6pm. 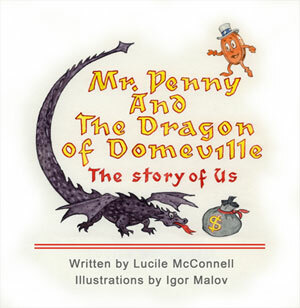 Lucile McConnell will be signing copies of her new book and the illustrator of Mr. Penny's story, Igor Malov, who is visiting from the Ukraine, will also be on hand. ALL proceeds from Mr. Penny's story go to retire America's National Debt under Public Law 87-58, signed by President Kennedy 53 years ago. 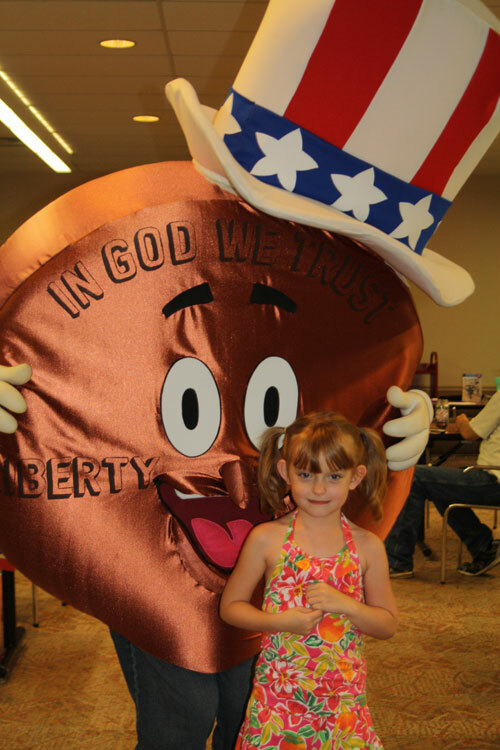 And of course, Mr. Penny will be there, too, so you can get your photo op with him! So bring your family and your penny jar to contribute to retire our National Debt! Please RSVP to let Lucile know if you will be able to attend (@ loumcconnell@verizon.net or 410-655-5756)....and please bring your kids and tell your friends! "It's not about politics, it's about love!" Mr. Penny. 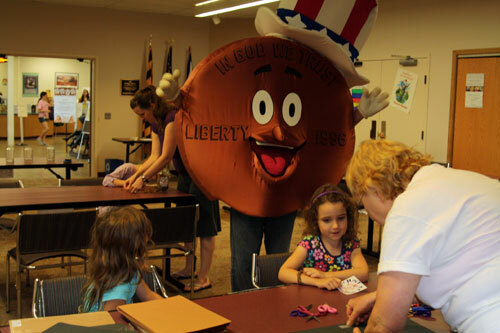 Mr. Penny celebrates America's 237th birthday and the inclusion of his story at the Eldersburg Library (Eldersburg, MD). 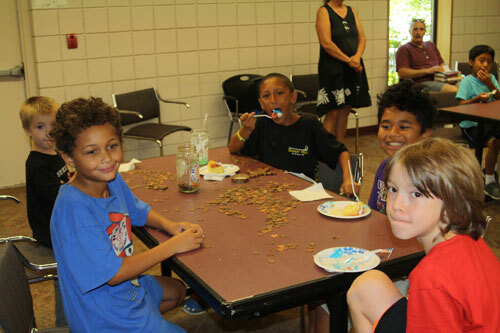 Penny games - pitching pennies, guess how many pennies and penny art and lots of photos with Mr. Penny and of course, a red, white and blue birthday cake. 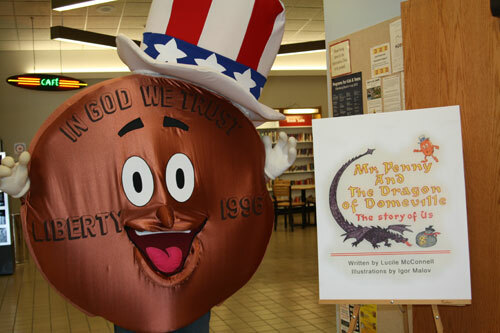 The author of Mr. Penny and the Dragon of Domeville: The Story of Us, Lucile McConnell, signed books and a great time was had by all! 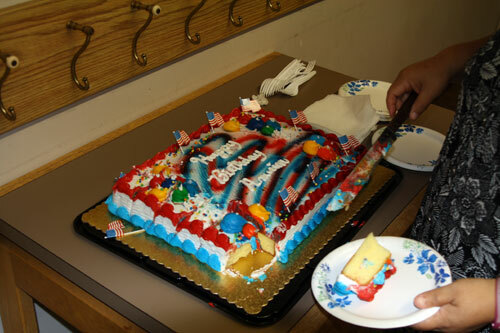 A Celebrating America program.